On the other, gentrification is raising real estate prices beyond the reach of many with urban space increasingly occupied by luxury development projects not to mention national economies are still recovering from the recession. 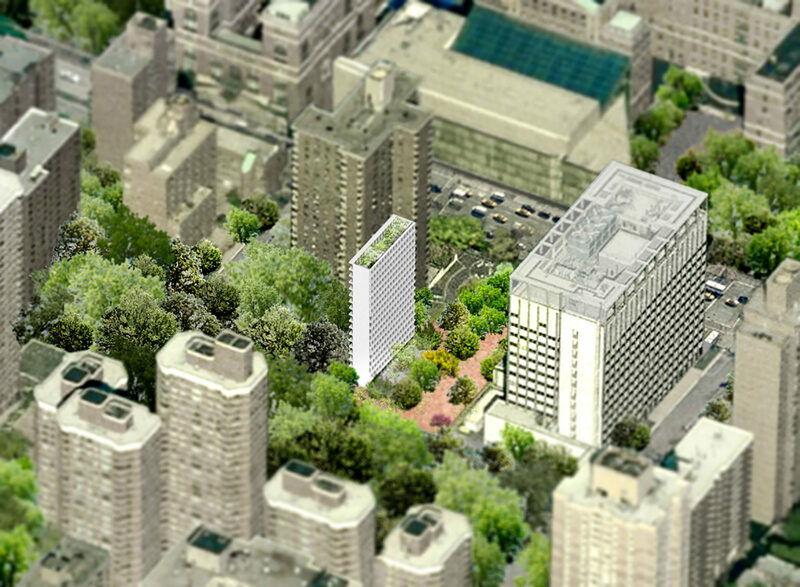 On the front lines of climate change, cities put immense pressure the environment as well. 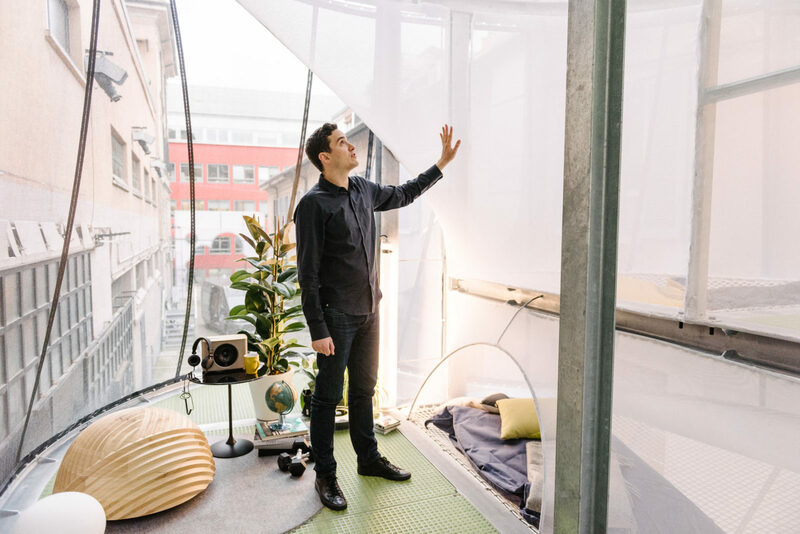 MINI Living is an ongoing initiative for the company that leverages the same “creative use of space” in their cars as it does for domestic spaces as well by working to develop solutions to housing problems. In 2016, MINI launched Do Disturb, a 30-square-meter apartment that featured dynamic walls able to format the space in multiple configurations. The home becomes a “micro-neighborhood”, with specific customizable areas devoted to socializing or privacy, work or play. It’s all about matching the pared-down lifestyle of modern city dwellers with a new kind of efficient space. 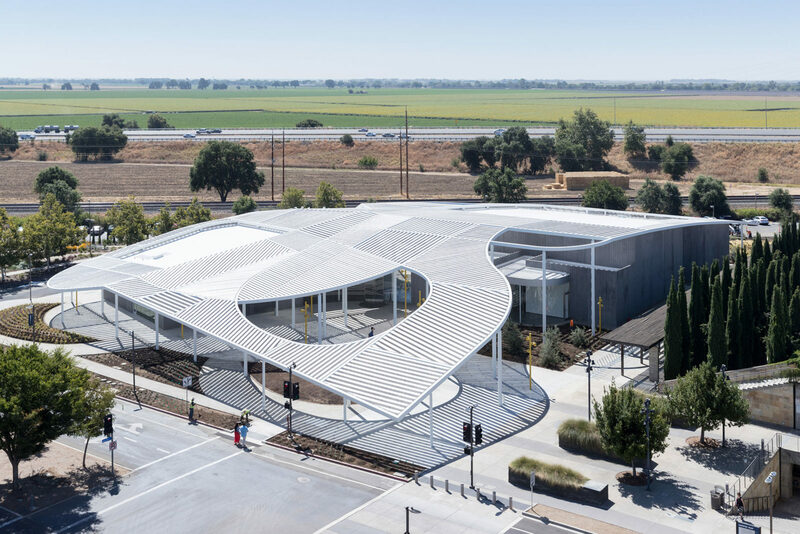 The ultimate goal, Ilias believes, is to “cultivate an ethos of caring.” The building connects people to people and their surroundings. Yet Breathe is not a traditional family dwelling. Rather, it’s in the vein of co-living arrangements like those created by companies such as WeWork and Roam. Just as the traditional definition of the family has evolved into manifold networks of friends, partners, and colleagues, Breathe is also flexible, able to house a nuclear family or a small communal group. 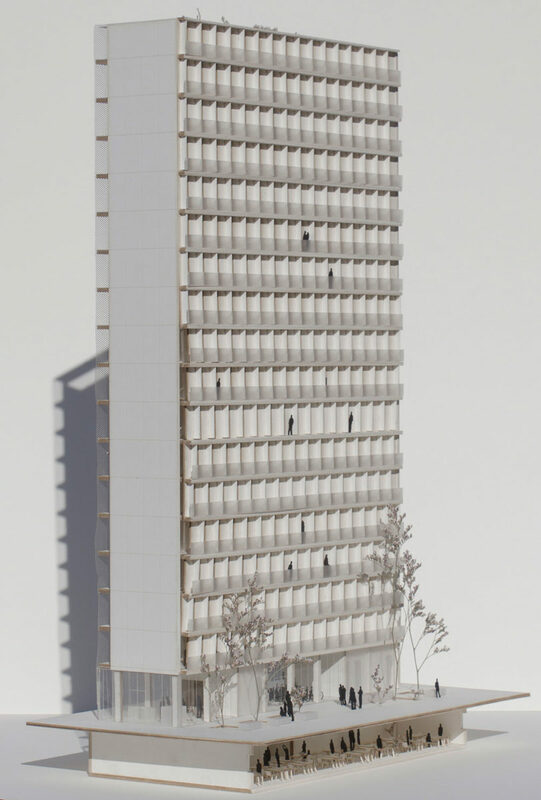 There are three living spaces arranged on top of each other to one side of the segmented structure, a more open shared atrium to the side, and then on the ground floor space, a kitchen and living room. On the roof is a planted terrace that collects water for the house. The firm has engaged with this idea of flexibility throughout its past decade of history. 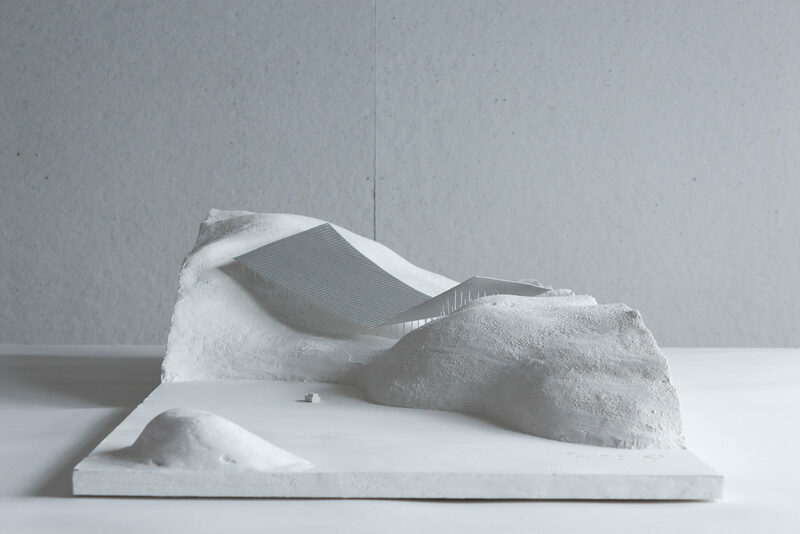 SO – IL was founded by Florian Idenburg and Jing Liu in 2008 (the two architects are a couple who married in 2006). Ilias was with the firm since its inception; he met Florian while he was a student at Harvard and Florian was working for the Japanese firm Sanaa. SO – IL’s early days were made more difficult by the financial crisis. 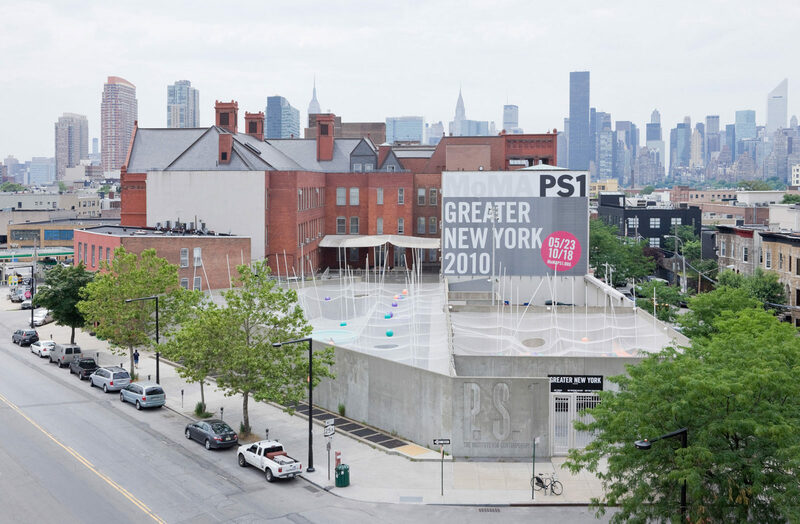 The project that made SO – IL’s reputation was an installation called Pole Dance at the Museum of Modern Art PS1 in 2010. 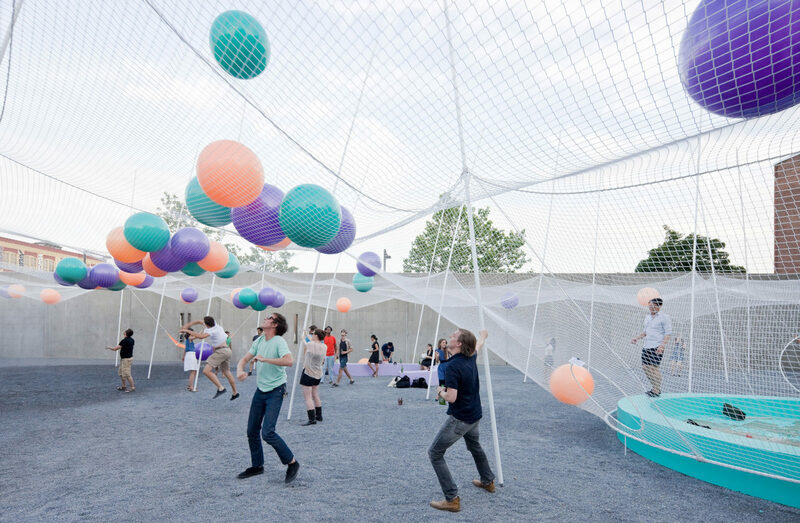 The architects won the museum’s Young Architects Program commission series and installed a series of poles in the courtyard that held up netting with beach balls rolling on top. 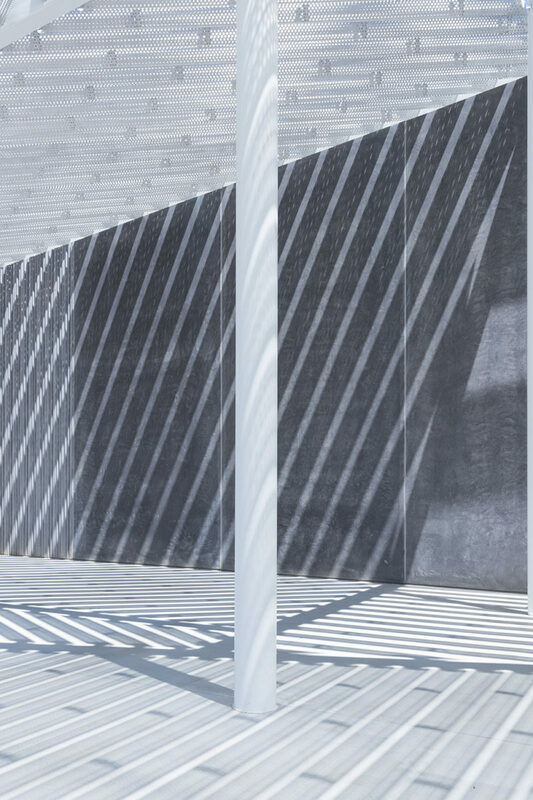 The mesh stretched to encompass hammocks and pools, turning the space into a dynamic party sometimes activated by actual pole dancers, spinning on the structural poles. Further north in the Brooklyn neighborhood of Greenpoint is A/D/O, MINI’s experimental creative space designed by nARCHITECTS. The space is seamless and open, transitioning from bookstore to gallery space to coworking office and restaurant, with floor-to-ceiling windows looking out onto the industrial street. FvF and MINI have teamed up to investigate ideas for future urban living through stories from our network as well as by accompanying MINI Living’s international collaborations with architects and designers. To learn more about the work of MINI Living, read the interview with Oke Hauser on FvF or visit MINI Living’s website. Ilias and Oke, for sharing the story behind Breathe. 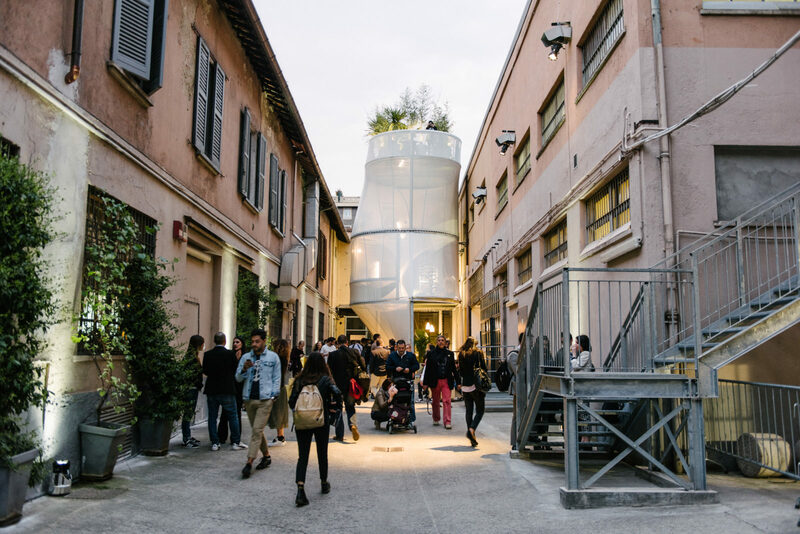 We had fun exploring the installation during Salone del Mobile in Milan. A big thanks also goes to A/D/O and the SO – IL offices for having us in New York.